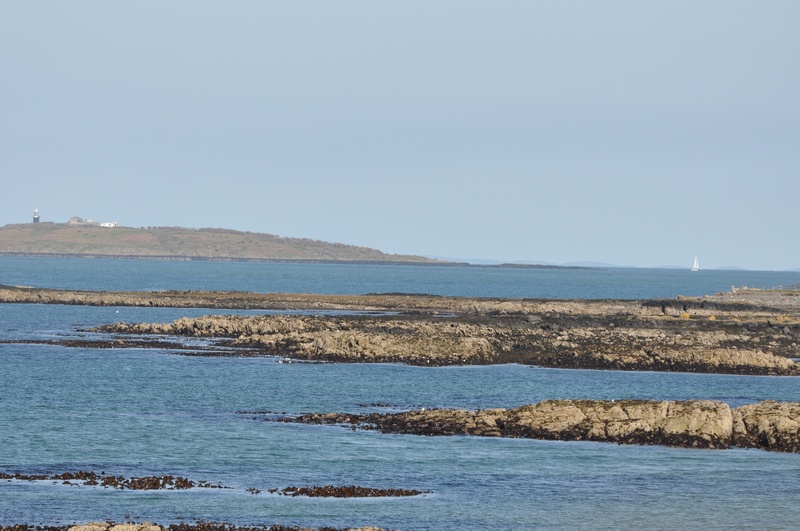 After the obscurity of Gortgrib, it is a relief to write about Groomsport, a name that local readers will know well as a village on the Irish Sea coast of Northern Ireland. The townland of Groomsport is a picturesque place, with a sheltered harbour, compact seaside town, and farming hinterland. 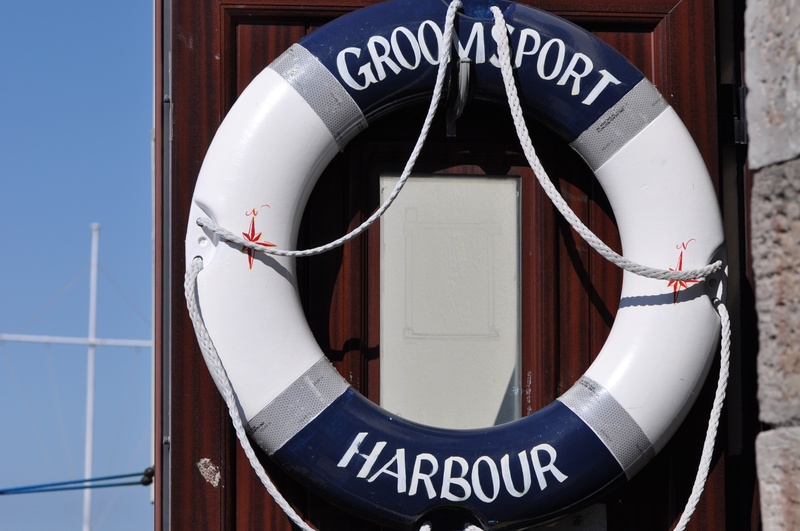 According to the PLACENAMESNI website, the name Groomsport is derived from the Irish Port an Ghiolla Ghruama meaning “the port of the gloomy fellow”. That seems most unlikely. Look! 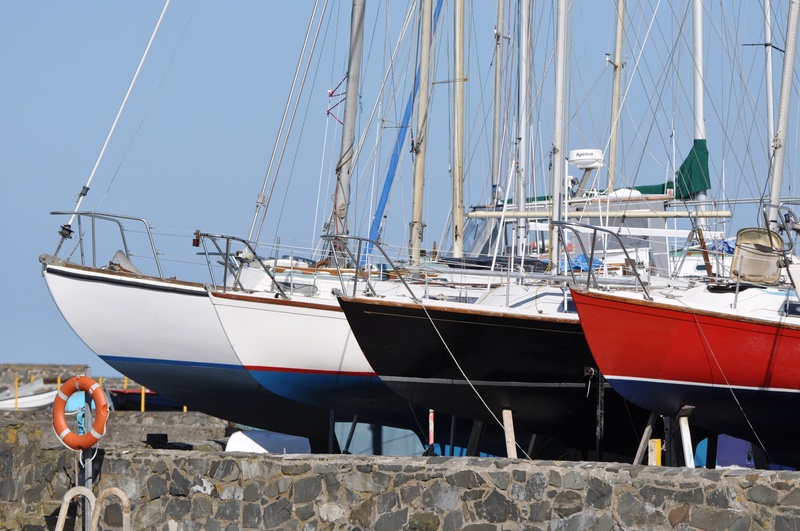 They have the sea; they have yachts; what is there to be gloomy about? In fact, if you read more on the PLACENAMESNI website, you find that the name may have more to do with people called Mallory than with gloomy people. Groomsport has a lovely sheltered bay. On my visit in April 2015 the beach was populated almost entirely by three- and four-year-olds. 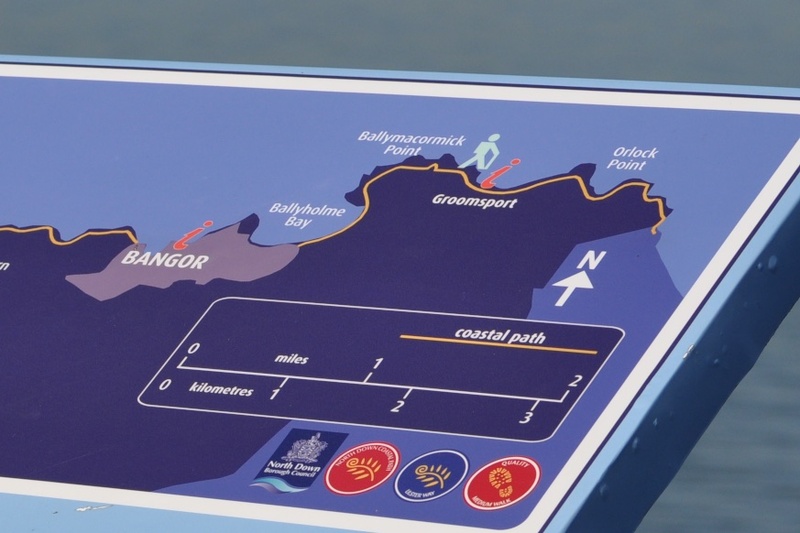 Those of us with longer legs might prefer to tackle the North Down Coastal Path. 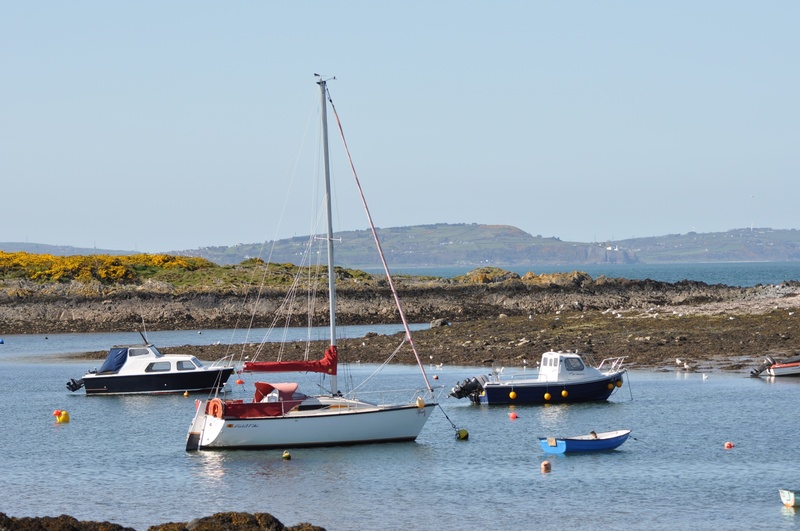 If you’ve walked all the way from Holywood or Bangor, Groomsport is a great place to stop for refreshments. Officially, the “i” in the map below stands for “information”, but in my mind it represents an ice cream stop. 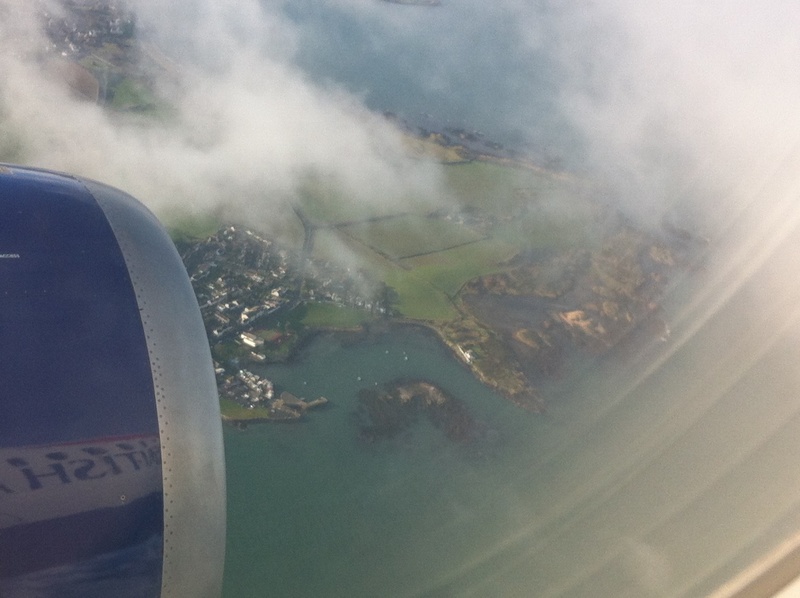 I just caught Groomsport from the air in the next photo in January 2015. The village and the sheltered harbour are visible; everything to the right of that is in the townland of Ballymacormick. Groomsport does a good job of presenting its local history. 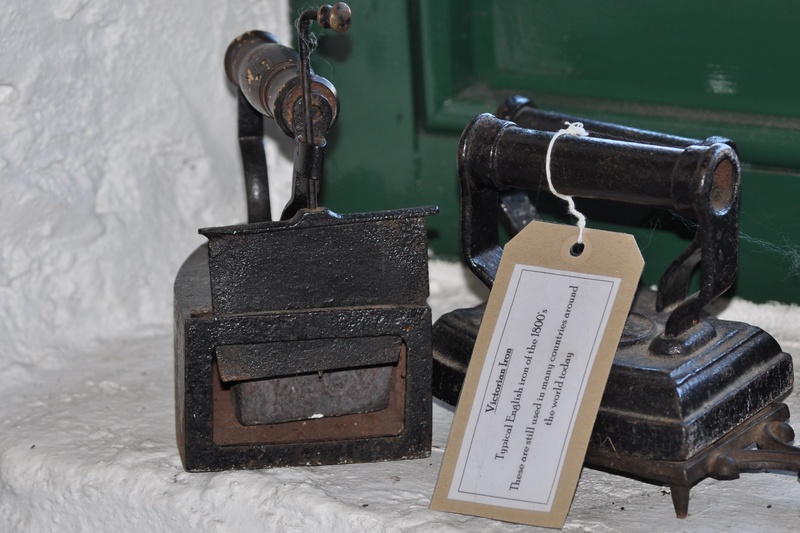 In the display at the Cockle Row Cottages I spotted these old irons from the 1800s. Lifting the back panel of the iron on the left revealed space for a heated block. Why was I distracted by this from my chance to sit in the sunshine eating ice cream? 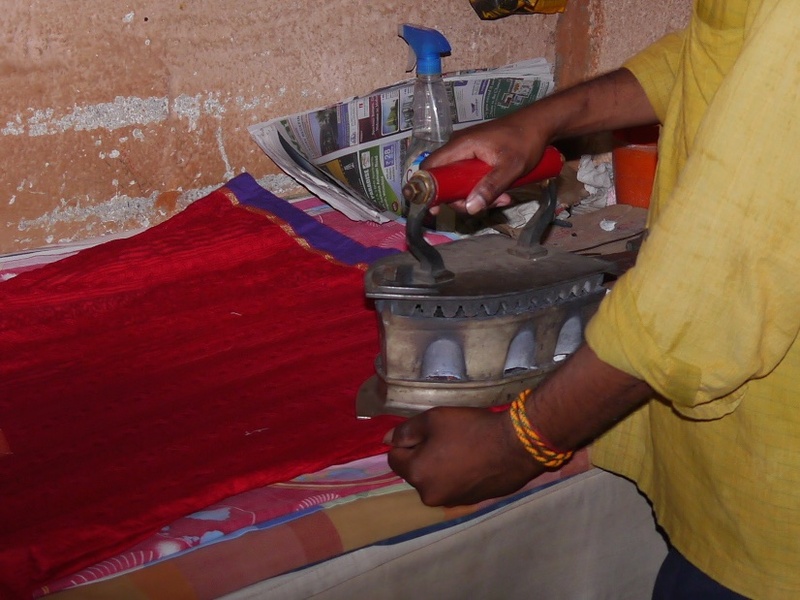 Because I was a regular customer of an ironing service in India which used “iron boxes” like these. Click here to see more photos of the Indian irons on my other blog and Click here for the follow-up “Upgrading the Iron to Brass”.